As part of the BBC's Who Runs Your World? series, Richard N Haass, president of the US think-tank, the Council on Foreign Relations, assesses the limitations of US power and argues for deeper international collaboration. Who runs the world? The short answer is "no-one," if by "runs" one means "control". 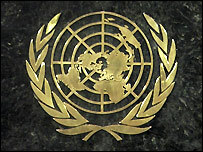 No world government exists, and the United Nations, while many things, is anything but united. In most circumstances, the organisation lacks both the consensus as well as the capacity to impose its will on member governments or others, be they terrorist organisations or drug cartels, corporations or NGOs. Nor does the US - by most measures the most powerful country in today's world - run things. This is, in part, because of the nature of the challenges in today's world. Terrorism, the spread of nuclear materials and weapons, global climate change - all require collective action. Talk of unipolarity and American hegemony in a global world is little more than talk. The US cannot run the world on its own for a second reason. US strength, however great, is limited. 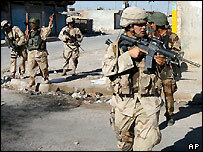 In large part because of Iraq, the United States lacks the military means to disarm and occupy North Korea or Iran. Similarly, the US lacks the economic means to do everything it wants given its enormous fiscal deficit and the fact that it is dependent on the continued willingness of other governments to accumulate vast holdings of dollars. But none of this should be understood to suggest that we live in a state of anarchy. We do not. Contemporary international relations are not some all-out, unregulated struggle. On the contrary, there are some important principles that are widely embraced, and in some areas these principles are buttressed by institutional arrangements. There is, for example, near-universal support for the right of self-defence, the concept that a state can respond militarily if attacked. This right is enshrined in Article 51 of the UN Charter, which explicitly states: "Nothing shall impair the inherent right of individual or collective self-defence if an armed attack occurs against a Member of the United Nations." As the text makes clear, the notion of self-defence applies not simply to the state under attack but also provides a mechanism for other parties to come to the defence of the victim. In the realm of security, there is a host of arms control agreements that place ceilings on or eliminate entire categories of armaments, as well as so-called laws of war that influence when and how military force is to be used, including what governments are obligated to do to safeguard the rights of combatants and non-combatants alike. There are elements of consensus in the political realm, including a number of international conventions supporting human rights and democracy and opposing torture, slavery, and genocide. The United Nations, despite its weaknesses and shortcomings, is an institution of, at times, considerable international authority. Other groupings that contribute in meaningful ways to international cooperation include the G-8 (the US, Canada, France, Germany, Italy, Japan, Russia, and the UK) and many of the numerous regional organisations (the African Union, the Organisation of American States, the Association of Southeast Asian Nations, and above all the European Union) that reflect a degree of consensus about not just local but also international matters. Transatlantic arrangements, including Nato, also contribute meaningfully to political order in the world. Technical arrangements abound when it comes to issues that affect the ability to function efficiently in a global world. Aviation safety standards, communications conventions, and international rules affecting agricultural and health policies have become essential for facilitating international travel, broadcasting, trade, and safety. In the environmental realm, there is also a considerable degree of integration, in particular international arrangements with near-universal participation that protect the ozone layer and ban persistent organic pollutants. Most of the world's countries participate in the UN Framework Convention on Climate Change, while all of the major powers other than the United States have ratified and agreed to implement the Kyoto Protocol. There are many examples of significant cooperation in the economic realm. 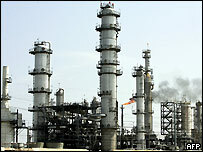 Even a partial list would include the World Trade Organisation, the International Monetary Fund and the World Bank, the Paris Club for debt rescheduling, the G-7 group of leading industrialised countries (essentially, the G-8 minus Russia), the Bank for International Settlements, the International Energy Agency (designed to help oil-importing countries weather a supply interruption), and the Organization for Economic Cooperation and Development (OECD). This is an impressive list, but more international cooperation is required against terrorism, the spread of weapons of mass destruction in general and nuclear weapons and materials in particular, and both genocide and all forms of severe repression such as ethnic cleansing. More can and should be done to promote free trade and economic openness, democracy and human rights, economic development and the raising of living standards for the world's poor, and efforts to combat global climate change as well as the spread of HIV/Aids and other infectious diseases. Such co-operation will only materialise when the leading powers of the day - China, the European Community, India, Japan, to some extent Russia, the US, and others, such as Brazil and South Korea and South Africa - determine that their self interest requires that they minimise competition (not to mention conflict) with one another and instead emphasise greater collaboration to meet the challenges of globalisation. The world will run much better if (and hopefully when) they choose to do so. Richard N Haass is former director of policy planning at the State Department and author of the recently published book, The Opportunity: America's Moment to Alter History's Course.